Sustainable provision and energy use is a major international challenge of the twenty-first century. Developed in collaboration with industry and public sector energy specialists, the course will give you a broad understanding of sustainable energy and aims to prepare aspiring energy professionals for a rewarding career in this fast-changing sector. How do we balance economic, social and environmental perspectives to meet our energy needs? As fossil fuel resources are being depleted and carbon emissions regulation approaches reality there is a need to find new and cleaner sources of energy. Studying the MSc in Energy and Sustainability (Energy, Resources and Climate Change) will enable you to study the impact of using fossil fuels on the environment and develop alternative sustainable energy solutions. 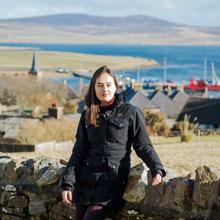 Apply for our MSc in Energy and Sustainability and help shape the future of energy usage. Our distinctive modules in bioenergy, waste and the interaction between energy and climate change will give you a key understanding of current issues. You will learn to use advanced Geographical Information Systems and develop a thorough, global perspective of climate change and energy. You will also study energy resources, technologies and waste resource management. The last four months of the course will be dedicated to research. You will complete a significant research project and you may have the opportunity to work with one of our many industrial partners; ranging from large utility companies to small energy consultancies, to develop your professional experience. Awarded MSc subject to successful completion of project (180 credits in total including modules). The MSc is a full 12-month full-time course, commencing in October. The course is split into two components: a 'taught' component (October to June) and a research component (June to September). Studying at Southampton meant I that was able to expand my understanding of renewable energy and sustainability and tap in to the experience that the UK has in this field. 2:1 or higher BEng or BSc degree in Engineering, Physics, Mathematics or Chemistry. Graduates with degrees in Geography, Biological or Environmental Sciences may qualify, providing that they have a good A-level or an equivalent standard in other qualifications approved by the University in mathematics and physics and that their degree incorporates a significant mathematical component, including calculus. If you are unsure about our entry criteria, please contact our admissions staff for advice in advance of your application. Applicants whose first language is not English will be required to demonstrate that they have sufficient command of English to undertake the course. See English Language entry requirements. 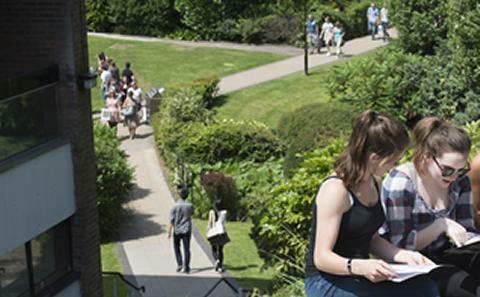 The University of Southampton welcomes applications from disabled students. We have extensive experience of supporting students with a wide range of disabilities and health conditions including sensory loss, mobility issues, mental health needs, long terms health conditions, autistic spectrum disorders and any specific learning difficulty. Applications from disabled applicants will be considered in the same way as any other application and a decision will be made that is based upon the candidate's academic merit and potential. Both pathways consist of 8 modules, 7 of which are compulsory for the pathway. Students are able to choose 1 module from 2 possible options from the other pathway in semester 2 choose either CENV6145 Climatic Design Of Buildings and Cities OR CENV6148 Energy Performance Assessment of Buildings. Semester 1 runs from October to January and Semester 2 from February to June. The research project, worth 60 credits will be carried out during the summer months and submitted by the end of September. The following modules are compulsory to all courses. The range of subject matter covered in the modules calls for varied teaching and learning techniques. These will include lectures, tutorials, individual and group planning exercises and practical work. You will be encouraged to openly communicate your professional experiences, exchange ideas and knowledge share. Research projects may concern any of the areas covered by the course. The research project will bring together all the acquired skills learnt on the course, and demonstrate in-depth knowledge of one or more of the subject areas studied. It will involve sourcing and gathering information, critical analysis, and evaluation and presentation skills. The project should contain your own original ideas. It should address a novel problem that requires the application of new research. Your education will be timely and relevant while you are taught by our world-leading academics who are at the forefront of their field. This is especially important in engineering where technology is advancing rapidly. Testing is conducted through a combination of unseen written examinations and assessed coursework in the form of problem solving exercises, design exercises, presentations, essays, and individual and group projects. Experimental, research and design skills are assessed through coursework exercises and oral presentations. Flagship assessments include the 'Winchester Silver Hill workshop' in semester two. Every student has a personal tutor from the start of their degree.